The Sunday Stills challenge for this week is “Fruits and Vegetables.” At our barn, f&v means one thing: carrots, carrots, and more carrots. 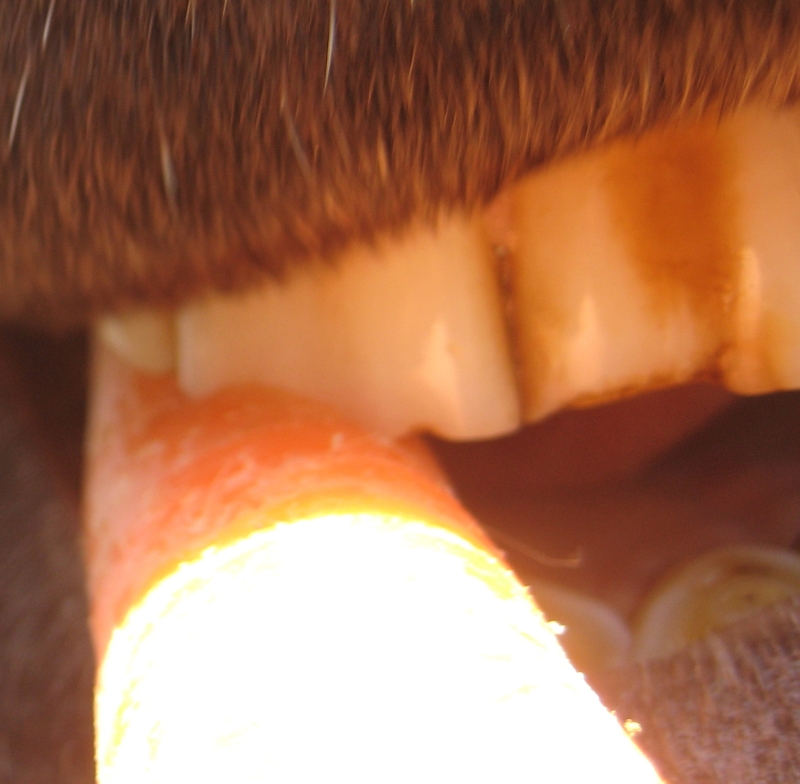 The last thing a carrot sees. I have prior carrot pics (including gratuitous kitten with carrots) but elected to stay with the spirit of the thing and take new. Further carrot commentary. that is an original take on this challenge…good one ! !